Adding a scanner to your home or office can save time and paper, especially when you have important paper documents that you need to save on your computer or in the cloud. Scanners are available in a range of types and sizes including portable, compact and desktop. They can be used to scan photos, contracts, invoices and receipts and can include a number or extra functions including photo copying and printing. If you have important documents such as a tenancy agreement or an employment contract you’d like to keep safe, it’s easy to make copies when you have a handy scanner around. The Canon CanoScan LiDE 220 is a flatbed, colour scanner that is perfect for any home office. It has an optical resolution of 4800 × 4800 dpi and a scan speed of 10 seconds. 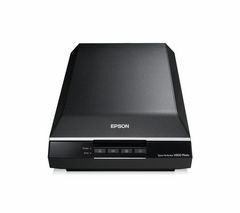 The Epson Perfection V550 Photo Scanner is ideal if you want to make copies of precious or irreplaceable photos. 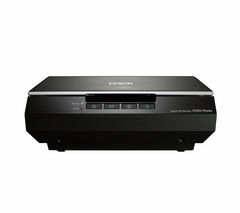 It can scan negatives and has an incredible optical resolution of 6400 × 9600 dpi.